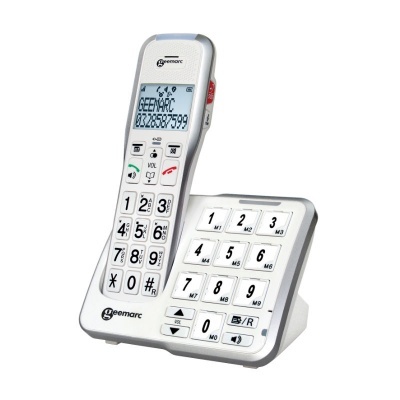 The Geemarc AmpliDECT 595 Amplified Cordless Phone is an ergonomic and easy-to-use phone, designed for people with hearing or cognitive impairments. Fitted with hearing aid compatibility and the option of saving up to nine numbers on the base, this amplified phone will provide the user with a quick and easy way of contacting loved ones and emergency services. 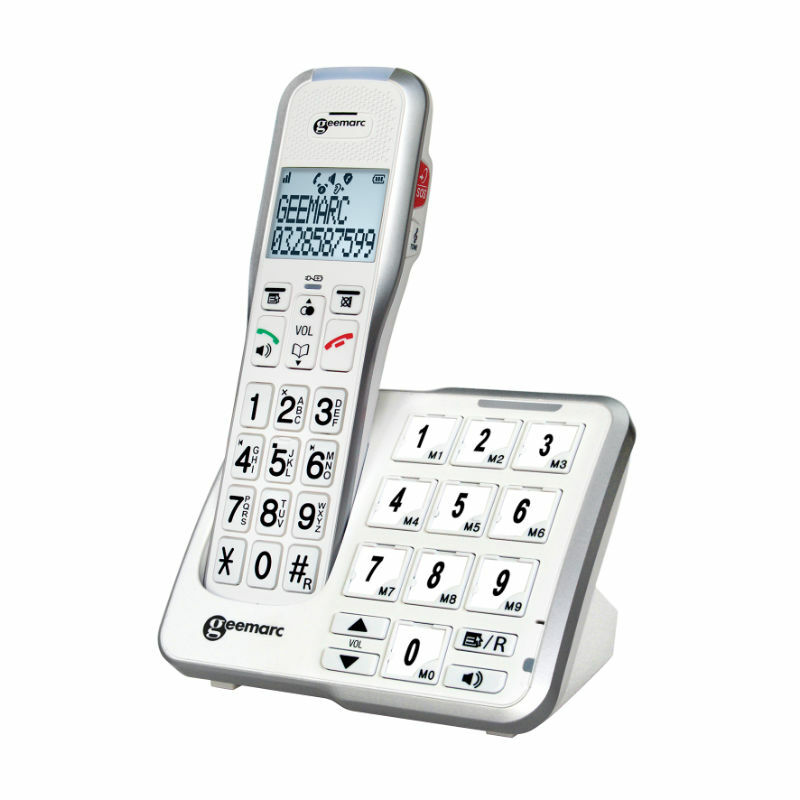 The Geemarc AmpliDECT 595 Cordless Phone is the perfect solution for people with visual, hearing and cognitive impairments. The big-button keypad allows the user to perfectly see the numbers, and thanks to the Talk Keypad function the phone will repeat the numbers that have been dialled. Everything is designed for speedy and easy dialling: the SOS button is able to store up to four emergency numbers and the large buttons on the base and on the handset allow saving numbers for a one-touch-dial. The AmpliDECT 595 features a maximum receiving volume of 50dB, three-level tone control and hearing aid compatibility. The volume of the ringer is fully adjustable (five levels plus the mute setting); the phone offers five polyphonic and five normal extra loud ringtones on the handset, as well as five normal extra loud ringtones on the base, ensuring the phone can be heard. The 34 x 40mm LCD display is supplied with a white backlight to ensure visibility in every condition. With a choice of seven languages (English, German, French, Italian, Dutch, Spanish and Portuguese) and a character size of 7mm, this phone allows full and easy usability. The Geemarc AmpliDECT595 is also supplied with an answering machine that can record up to 30 minutes of messages, ensuring no important information need ever be missed. For organisation and user control, the phone also includes the function to delete messages one-by-one or all at once, in order to avoid clogging up the inbox.